Is the skin on your face making you look tired and older than you feel? Are you plagued by blemishes such as sun spots, acne scars or wrinkles? Try an Obagi skin treatment from Bodyvie. Here at Bodyvie, our doctors are highly trained in the full range of Obagi products, and we are proud to have over ten years’ experience using bespoke Obagi treatments. Obagi Medical is an American company and world-renowned for delivering clinically proven, pharmaceutical grade treatments and products. Our popular Obagi treatments are chemical peels, which remove the superficial layer of dead skin cells. The Obagi Blue Peel Radiance treatment is a gentler peel and designed to work on the surface of the skin to improve the appearance of acne scars, lines and wrinkles, sun spots and other skin concerns. 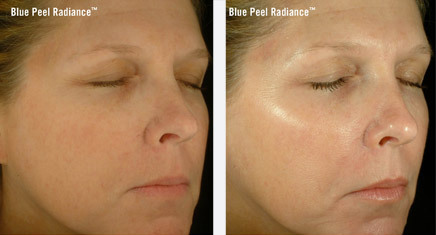 The Obagi Blue Peel is performed by a doctor and is more intensive. 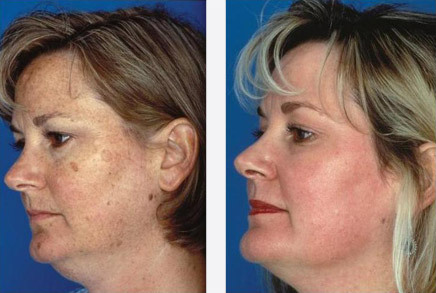 This treatment is designed to remove more skin cells and improve the appearance of wrinkles, enlarged pores, pigmentation and uneven skin tone. It contains a mixture of trichloroacetic acid and a specially formulated substance designed to monitor and slow the penetration of the peel. This treatment works in conjunction with Obagi Nu-Derm, used before and after treatment, to accelerate the transformation. After the peel has been removed, we will apply a special skincare treatment containing vitamins and sunscreen to further tighten and protect the skin. Each treatment may vary from one person to another. Arrange an Obagi consultation today. You will notice brighter, younger-looking skin after just one peel, but we recommend a course of four to six peels for maximum benefit from your Obagi peel.